Crank up the banjo and violin; it’s time for a good ol’ fashioned ho-down. 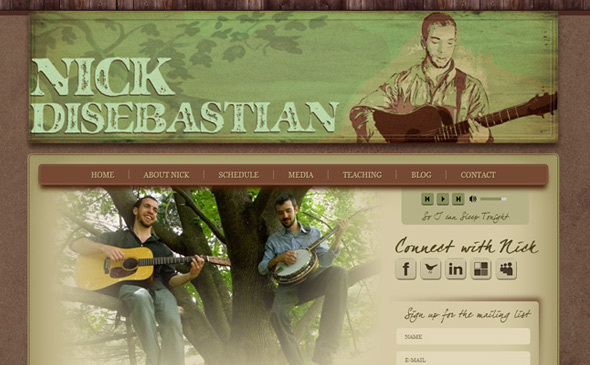 Nick is a bluegrass guitar player based out of Boston, who has ditched his MySpace page in favor of a custom WordPress site. The custom theme gives him full ability to update all his menus, content, and sidebars. The site was designed by Alex Disebastian, and the header graphic was created by Grace Van’t Hof.